Attention! Two CDs on page bellow! 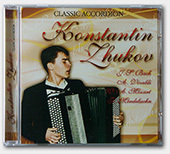 Kostyantyn Zhukov. CD "Classic Accordion"
..: DEMO tracks from CD :..
Video demo: O.Messiaen. Meditation No 9 ("God amongst us"). Kostyantyn Zhukov. 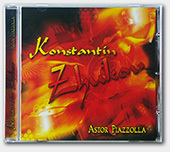 CD "Kostyantyn Zhukov plays Astor Piazzolla"